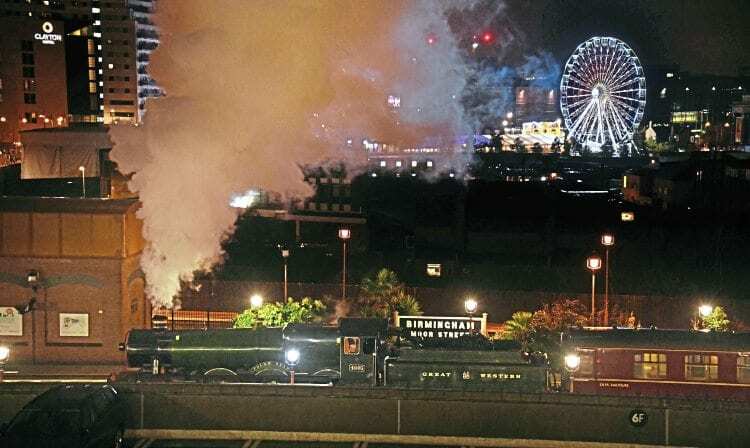 THE incredible success of running ‘Polar Express’ services on the main line between Birmingham Moor Street and Tyseley has led Vintage Trains (VT) to outline an ambitious programme of steam specials and other charter possibilities for 2019. What is also remarkable is just two months before the ‘Polar Express’ specials started, VT was granted its train operating licence in September, and in doing so became the first Community Benefit Society railway operator. It also needed to negotiate train paths with Network Rail for the 2¾-mile route. VT ran a recurring four-day programme between November 29 and December 23, with four trains per day on Thursday to Saturday and five on a Sunday. The 68 trains carried 23,000 passengers – twice the operator’s annual patronage in just a month of specials. Denis Chick, VT’s press officer, said: “On announcing the ‘Polar Express’, it became a frenzy on the phones. “Although we’d run a small advert in the Birmingham Mail, word of the trains generally spread via Facebook, Twitter and other social media channels. “It was like a chain letter, many families telling other family members and next door neighbours.